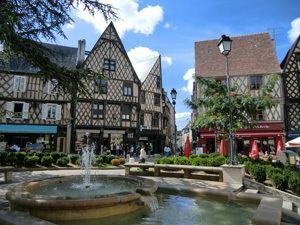 Bourges ([buʁʒ]) is a city in central France on the Yèvre river. It is the capital of the department of Cher, and also was the capital of the former province of Berry. In the Gallic Wars of 58-50 BC, the Gauls practised a scorched earth policy, but the inhabitants of Avaricum begged not to have their city burned, and it was spared due to its good defences provided by the surrounding marshes and a strong southern wall. Following the siege of Avaricum in the winter of 52 BC, Julius Caesar's forces destroyed the city and killed all but 800 of its inhabitants. The third-century AD Saint Ursinus, also known as Saint Ursin, is considered the first bishop of the city. Bourges is the seat of an archbishopric. 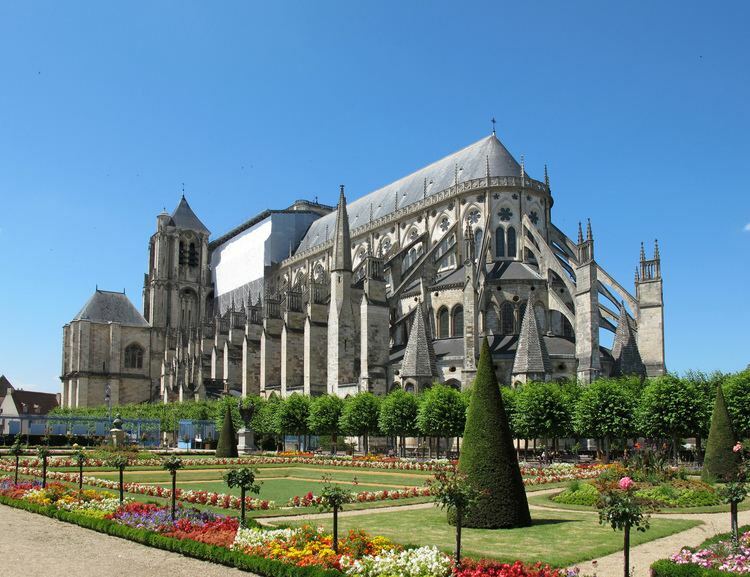 During the 8th century Bourges lay on the northern fringes of the Duchy of Aquitaine and was therefore the first town to come under Frankish attacks when the Franks crossed the Loire. The Frankish Charles Martel captured the town in 731, but Duke Odo the Great of Aquitaine immediately re-took it. It remained under the rule of counts who pledged allegiance to the Aquitanian dukes up to the destructive assault by Pepin the Short on independent Aquitaine starting in 760, when Basque troops are found defending the town along with its count.